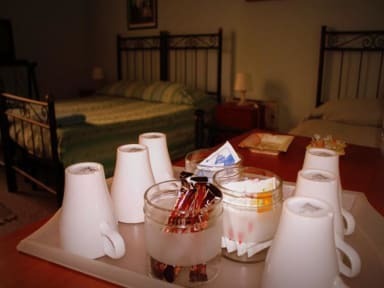 B & B Bella Stella in Catania is a budget bed and breakfast located in the historic center of Catania, in one of the main streets of the Etna main town. It is a prestigious residence that revives the emotions of the past as it is immersed in the Sicilian baroque. Our B & B offers fully air-conditioned, en suite rooms with air conditioning, free wi-fi and flat-screen TVs. You can also enjoy our tasty and rich breakfast served in an elegant relaxation room where you will be breathing The family reality and the typical hospitality of the Sicilian people. Our B & B located in Sicily is located in Via Vittorio Emanuele II nr 319 in Catania enjoys an excellent location in a central area, with great archaeological, artistic and cultural value. In the price of the stay is included the Italian breakfast, but not the tourist tax. Always and comfortably the time of arrival is to be done.